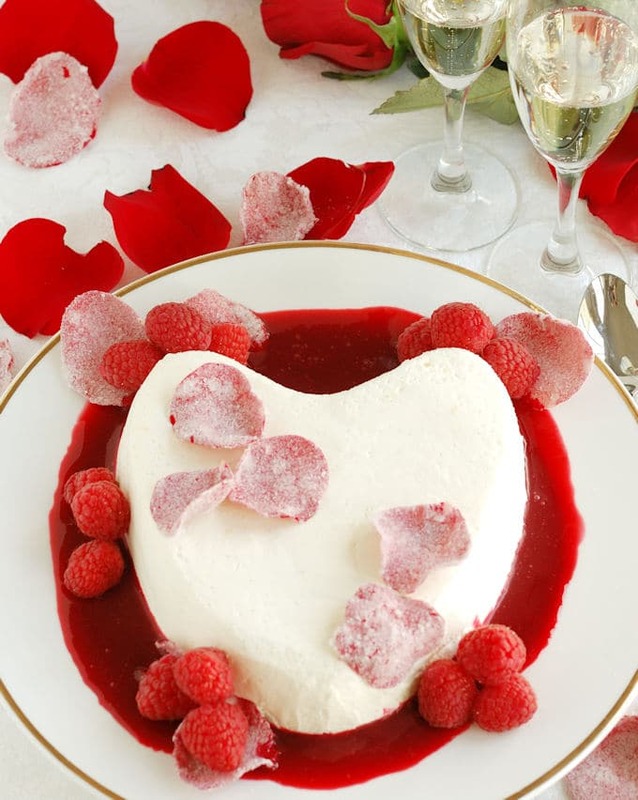 Coeur a la Creme must be the world’s most romantic dessert! This classic treat is luscious, beautiful, and definitely meant to be eaten from one plate with two spoons. I mean, just the name (said with your best French accent) says “romance”. 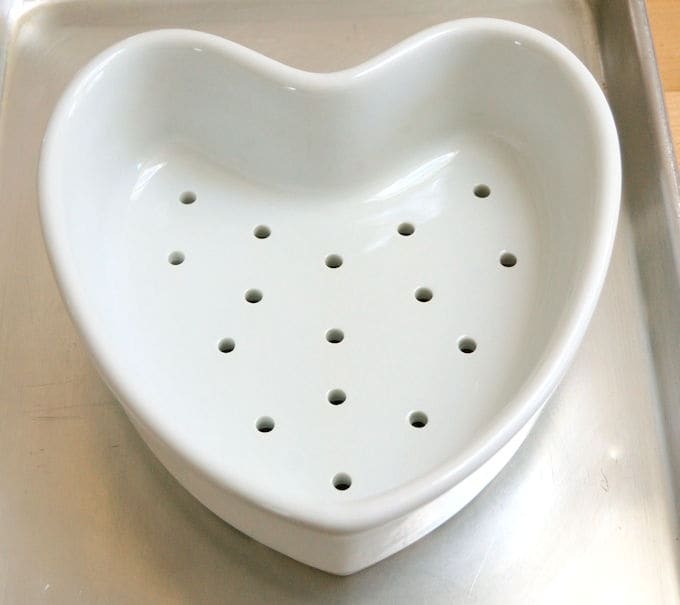 Traditionally, Coeur a la Creme is molded in a special heart-shaped ceramic dish with holes on the bottom. The idea is that the excess liquid will drain away from the cream as it sits in the refrigerator. I bought one years ago and have used it every time I’ve made this dessert. Do you really need a special Coeur a la Creme mold? But I got to thinking as I was writing this post that I don’t ever remember seeing much liquid under the dish after the cream sat overnight in the refrigerator. So is the special pan really necessary? I made a second Coeur in a 6″ heart shaped aluminum cake pan lined with cheesecloth. There really was no difference between the two Coeurs, so I would say there is no need to buy the special pan if you already own small heart shaped cake pan. 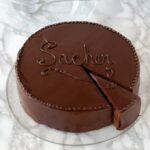 The other options would be to use any other 6″ cake pan or a small sieve to mold the dessert. But if you don’t have something already in the house, the traditional dish is not very expensive and you’ll probably use it again. Only 6 ingredients and no baking make this a super easy recipe. 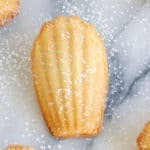 My take on this classic french dessert has a couple of updates. 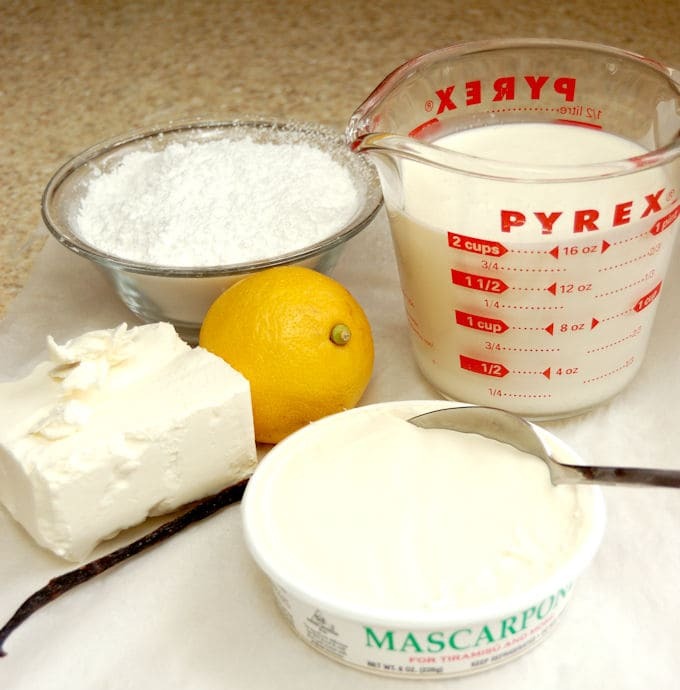 Instead of using only cream cheese, I use a mixture of cream cheese and mascarpone. I love mascarpone’s sweet and smooth taste and I think using the two cheeses makes for a lighter texture and more interesting flavor. Speaking of interesting flavor, a splash of rosewater adds an intriguing note to the raspberry sauce. 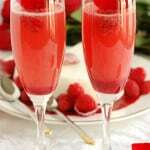 (Save a little of the raspberry-rose sauce to make Raspberry-Rose Bellinis for a romantic start to your evening.) A tumble of candied rose petals is all you need to finish your beautiful creation. 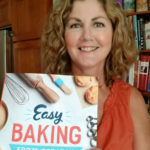 We all know that making food, especially dessert, is a way to express love. 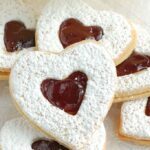 What better way to say “I love you” than with a gorgeous, delicious and easy to make Coeur a la Creme? 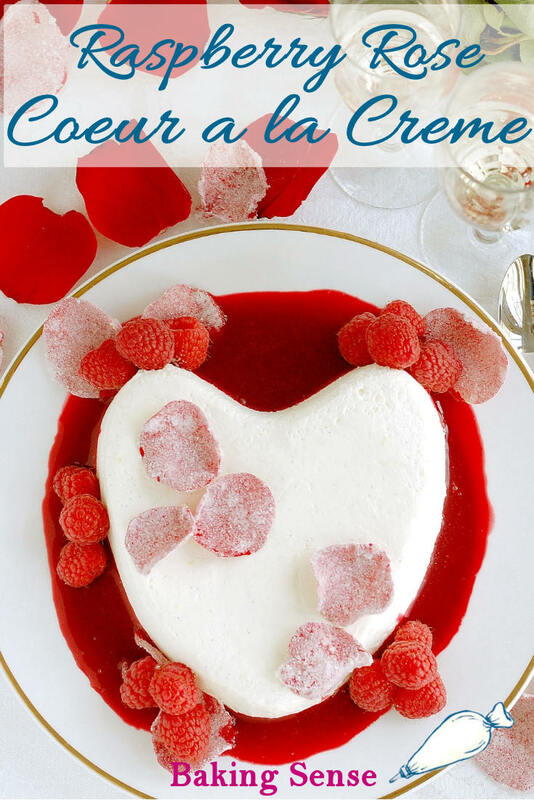 Coeur a la Creme must be the world's most romantic dessert! 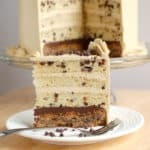 This classic treat is luscious, beautiful, and definitely meant to be eaten from one plate with two spoons. I mean, just the name (said with your best French accent) says "romance". Beat the cream cheese, vanilla and lemon zest on low speed to soften. Increase the speed to medium and mix until the cheese is smooth. Scrape the bowl thoroughly to avoid lumps. Add the mascarpone and mix until smooth. Scrape the bowl again to make sure no lumps remain. With the mixer running on low, add the confectioners sugar. Scrape the bowl again. Increase the speed to medium-high and mix for 1 minute to lighten. Remove the bowl from the mixer. In a separate bowl, whip the cream to full peak. 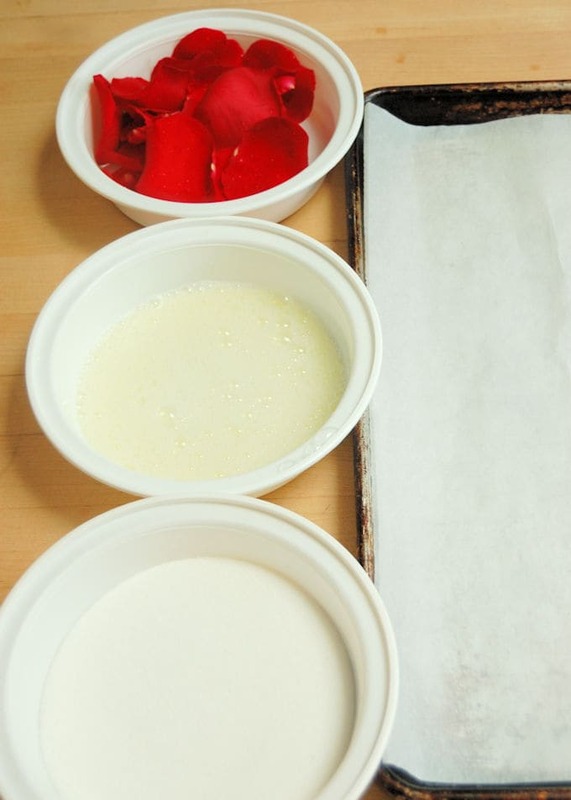 Fold 1/3 of the whipped cream into the cheese mixture to lighten. Add the remaining whipped cream in two batches. Pour the mixture into the cheesecloth lined dish and smooth to even out the top. Rap the dish on the counter a couple to times to eliminate any air pockets. Line a sheet pan with parchment paper. 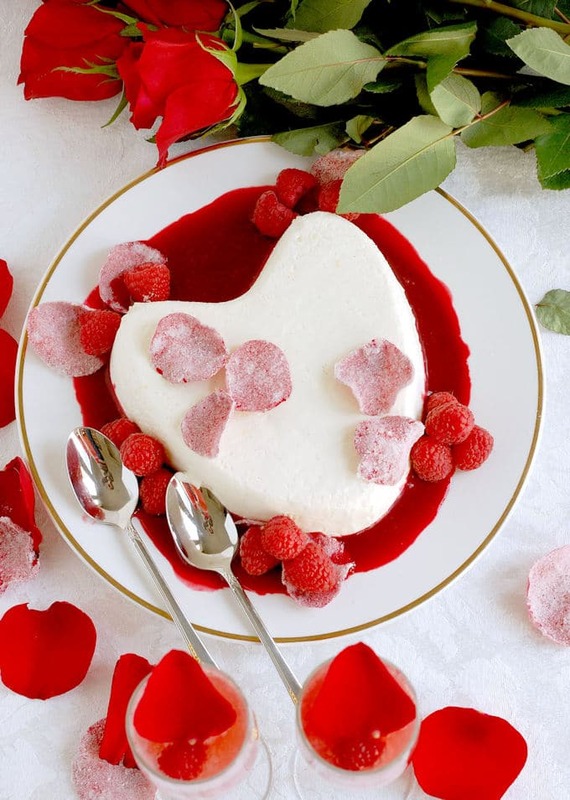 Dip each rose petal into the egg whites and use your fingers to spread the whites all over both sides. Allow any excess to drip off. You want a thin coating of egg whites. 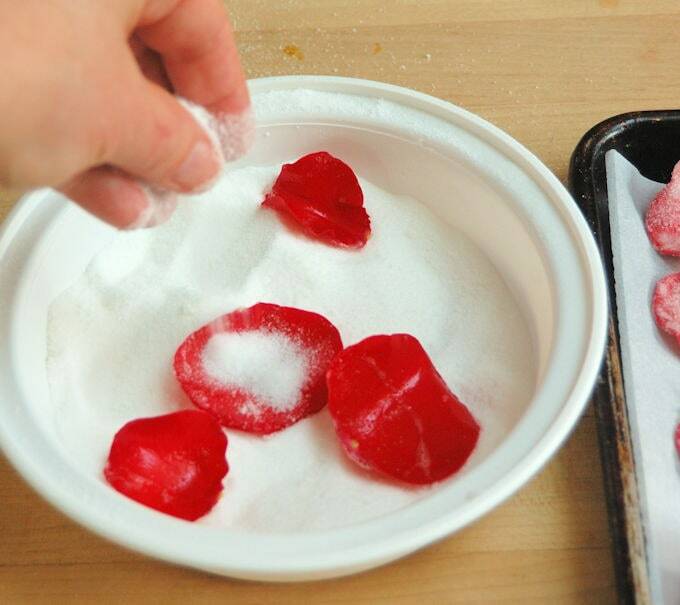 Drop the petal into the sugar and toss to completely coat. Set on the sheet pan to dry for at least 4 hours. Adjust the amount of sugar and rose water to your taste. 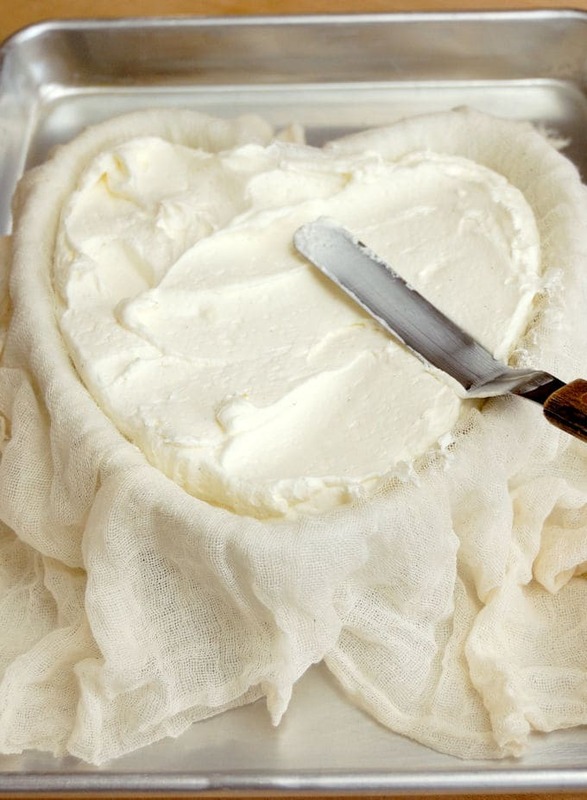 Unmold the Coeur a la Creme onto a serving platter with raised sides or a shallow bowl. Pour the sauce around the Coeur. 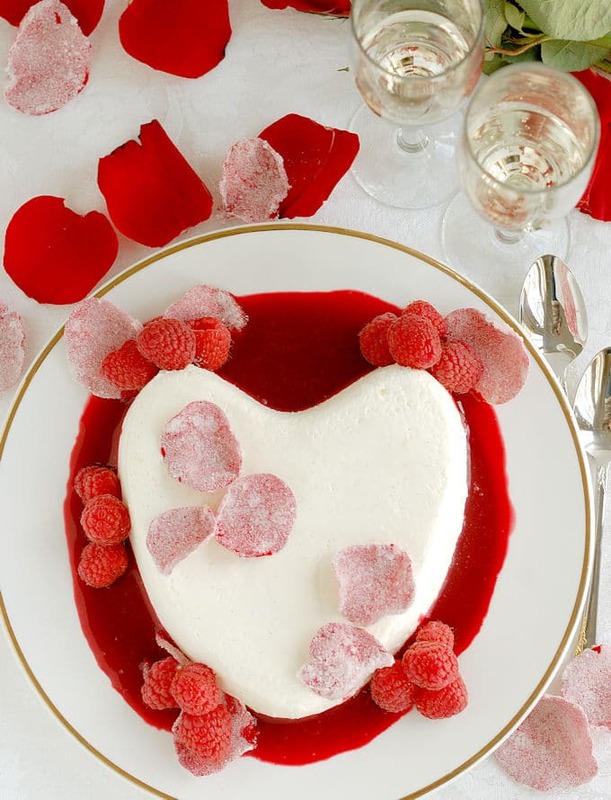 Arrange the rose petals and raspberries to garnish. Try to get unsweetened frozen raspberries. 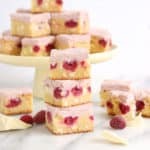 If the raspberries are frozen in sugar syrup adjust the sugar accordingly. If you don't have superfine sugar run granulated sugar in a food processor or blender for 30 seconds. Wow, this looks totally amazing. 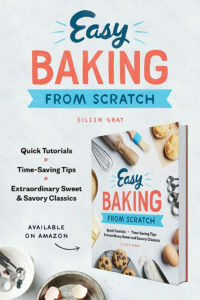 Probably for an experienced baker not a beginner like me! 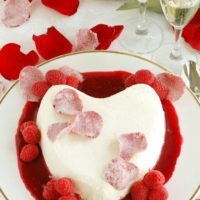 Hi Elena, Actually, the cream heart has only 6 ingredients and doesn’t require any baking at all and the sauce is just pureed raspberries with a little sugar and rosewater. The whole thing is super simple and requires absolutely no cooking or baking. The rose petals are a little fussier, but they’re mostly for decoration. Hope you give it a try sometime! Thanks for reading and commenting!